Brachadair means Maltman. Behind this gaelic name, there is a very young belgian bottler who has released 3 bottlings in 2013. Whiskyandco.net is interested in prospects of a new arrival on the spirits market. Interview with Patrick Vanderlinden, a man for whom whisky is synonymous with common sense, family and… hobby. Hi Patrick. First of all, thank you for accepting our interview. It’s nice of you to spare the time. Let’s start with a simple question: when and how did you become interested in whisky? Brachadair is less than two years young. What did you do before embarking on this adventure? I have a full time job, and Brachadair and whisky make up a hobby that became a little bit more serious about a year and a half ago. So I still do pretty much the same as before, with a bigger part of my ‘free’ time spent on Brachadair. I’m curious: What’s your main job ? Because I think that your website presentation is very pedagogical! I have a career of about 25 years in IT, of which the last 10 or so in Information Security. End of 2012 I got fed up with the mentality and way of working in IT, so now I’m a business analyst in HR&O. But I miss Information Security … I didn’t have any real experience in building websites, so it took me some time to learn the tool (Joomla) and develop the site. It isn’t very flashy but I’m happy with the result. 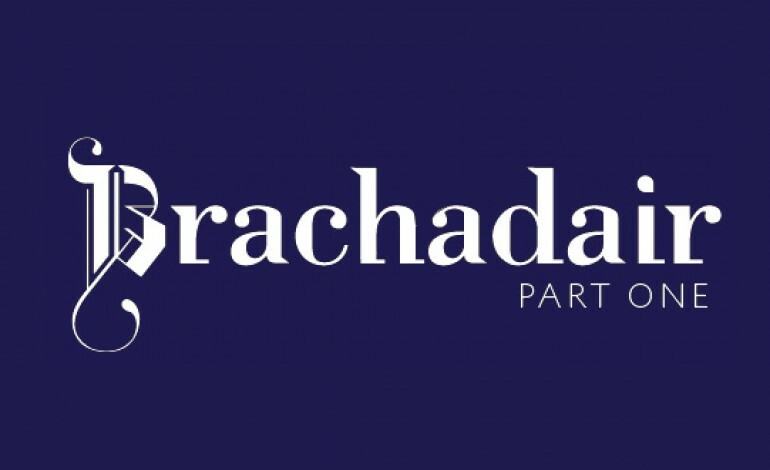 Could you explain to our readers what are your different roles within Brachadair? Sometimes you wonder how a bottler manages to select a cask. What is your methodology? – Everybody wants a Port Ellen, an Ardbeg, or a Brora … but first you have to find them, and then you have to be able to buy them. I haven’t come across one of those ‘most wanted’ casks yet, and should I find one I don’t have the means to buy one yet since Brachadair is still very young. – The number of suppliers and casks is limited; or at least, those I have access to. 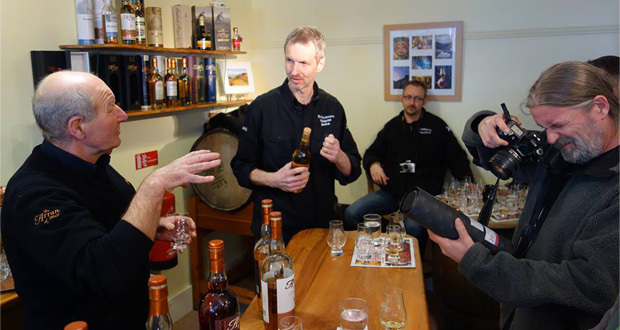 I’ve always thought of people producing and selling whisky, giving tastings, as ‘apostles’ spreading the word about single malt whisky and sharing all information they have just in order to convince another soul of the beauty of Whisky. However, when it comes to revealing the sources of your casks, not many colleagues are willing to help. I would say that’s Brachadair biggest problem for the moment: finding the right casks. – I set out with the idea to first get a basic range of six or seven whiskies, one of each region, so that you can have the complete story for a tasting or whisky fair. We have a bourbon Speyside, a Island Highlander and an Islay. The next bottlings should be a mainland Higlander, a Campbeltown and a Lowlander. The seventh could be a sherried Speysider but we’ll see that when we get there. I’m not fond of sherried whiskies so you’ll probably always have a bigger chance of seeing a bourbon Brachadair bottling than a sherried one. I don’t go looking for very old whiskies. Not only because they are harder to find and more expensive, but also because I think you need more expertise to make a whisky that‘s good at a younger age. Once you’ve selected a whisky the supplier determines the ‘selection process’: some suppliers have several casks of the same whisky, others just have the one cask. Where in the last case, you just have the choice between like or don’t like, in the first case you really get to compare and select, which makes it much more fun. Our Arran and Laphroaig were just ‘like or don’t like’ while the Braeval was, in my eyes, the best of seven casks. Bottlers have their preferences: For you, it’s bourbon cask. But what do you think about finishes (wine, port …)? There are a few finishes that almost never have let me down: rum and sauternes. There are some good port finishes (Glenmorangie Quinta Ruban, and BenRiach has some). In general, I don’t like red wine or sherry finishes (well I don’t like sherry, period), champagne or cognac finishes, and all the other experiments they’ve done … but sometimes you taste the odd exception. So, if you’re asking if I will ever bottle a ‘finished’ whisky, I would say yes, if I get the chance and I find something I really like (so probably rum or sauternes). But if possible, I’d like to ‘setup’ my basic range first. Every month sees its share of new releases on the market. Do you try to surprise, to distinguish yourself, or is quality your sole criterion? Let’s say that quality is the main criterion which means I won’t select a cask that in my eyes doesn’t deliver good quality for price. But if I have the choice between two whiskies of similar (good) quality I’ll choose the ‘surprise’ as you call it (as I’ve done with the Braeval), a nice side effect being the lower price you pay for the lesser known whisky resulting in a better price/quality ratio.